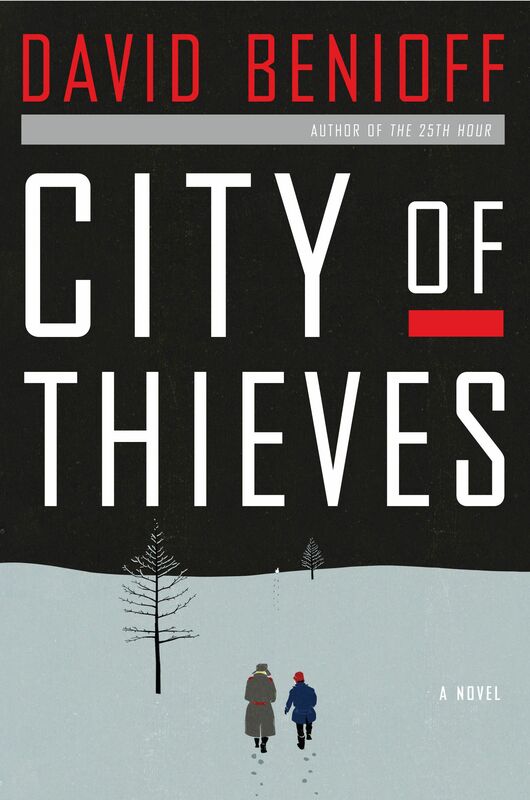 City of Thieves is the finest novel about two young men searching for a dozen eggs I have ever read. David Benioff tells the tale of Lev and Kolya as they battle bitter cold, snow, starvation and fellow Russians as the Germans surround Leningrad in winter 1944. In the besieged city, citizen and soldier alike starve and freeze to death. There is a strict curfew and, when not running from artillery fire, abandoned children seek out dead German paratroopers fallen from the sky. Thieves and deserters are imprisoned or summarily executed. And a simple note from a colonel of the NKVD (secret police), living in a mansion once owned by an aristocrat long since dispatched, gives a thief and a deserter access to anywhere inside the city or out. The two young men are promised their freedom if they find the colonel a dozen eggs for his daughter’s wedding cake in just five days time. The task is impossible, but propels Lev and Kolya on their journey, observing the kindnesses and atrocities on the city’s remaining inhabitants, through the front lines of the Soviet defenses and into the conflict between the Wehrmacht and Russian guerrilla partisans. When a novel begins, “My father, the knife fighter, killed two Germans before he was eighteen.” it is impossible not to follow the narrator to the next sentence. And the next. The text of the novel at once flows easily and gives insight into the character of the people and the time. Benioff admits relying heavily on The 900 Days, which he describes as a masterpiece and the definitive work on the siege of Leningrad, and I am compelled read all 672 of it’s pages on the strength of City of Thieves alone. I’ve not read a great many historical fiction novels set during the siege of Leningrad, in fact this is the only one, but I am comfortable saying that it belongs among the best. Tragically funny in parts, terrifying and ruthless in others, City of Thieves will make the reader hope for another novel from David Benioff soon. We will likely have to wait until he has completed his work on HBO’s Game of Thrones for such a work, but until then, we have City of Thieves. Reid Crandall is a professional amateur. He writes, occasionally.